We provide consulting services to oil and gas clients across North America -- from planning and feasibility studies, public outreach, and permitting to construction compliance, and site restoration and maintenance. Merjent partners with electric power generation and transmission utilities to support all project phases -- from due diligence review through construction compliance. Our professional, experienced staff provide comprehensive project services for commercial Wind and Solar projects, as well as associated high-voltage transmission systems. Our biofuels team has expertise in all phases of a facility’s life-cycle, from siting, public outreach, and permitting to start up and ongoing operational compliance. Merjent’s corporate values guide how we operate and how we work together and with clients. 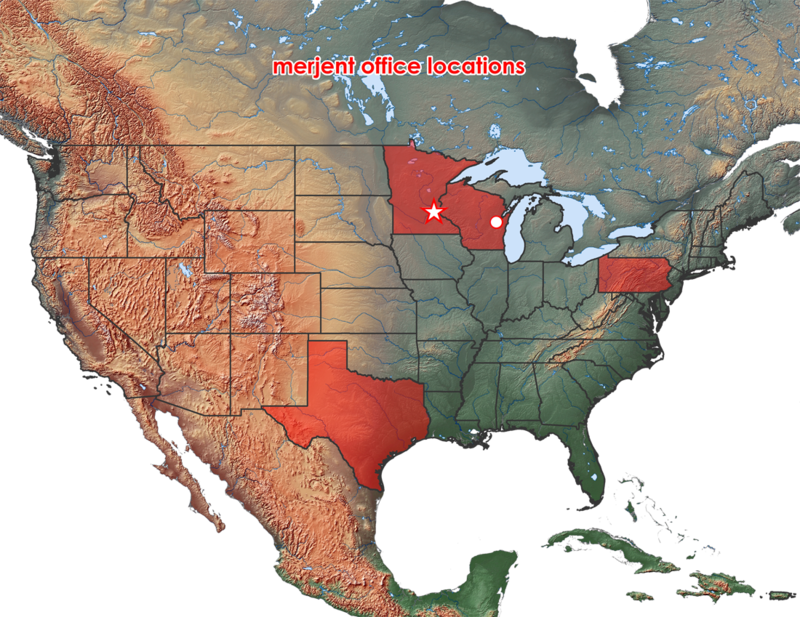 Merjent is an environmental consulting firm with a long history serving the energy industry. We offer a wide range of services to clients in the oil & gas, biofuels, electric power generation & transmission, wind & solar energy, and transportation sectors; and we support government agencies across North America. Our experienced project managers partner with clients to address agency and community concerns, obtain regulatory permits and approvals, maintain compliance, and ensure worker safety, while minimizing impacts on the environment. We help our clients’ projects succeed by pro-actively navigating and effectively managing issues and challenges that arise. We offer our clients a wide range of environmental permitting and compliance services — from planning to asset closure.